We are manufacturer of Steam Boiler. Horizontal Steam Boiler classification can be based on many factors like usage, fuel fired, fuel firing system, type of arrangement etc. Commonly known types are pulverized coal-fired boilers, fluidized bed boilers, supercritical boilers, oil and gas-fired boilers. All cater to industrial and power generation. Force Engineering is a manufacturer of various kind of Boilers. A company started since the company made steady progress and played a significant role in boiler Industry. 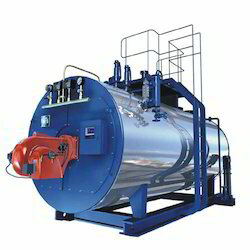 Looking for Steam Boiler ?